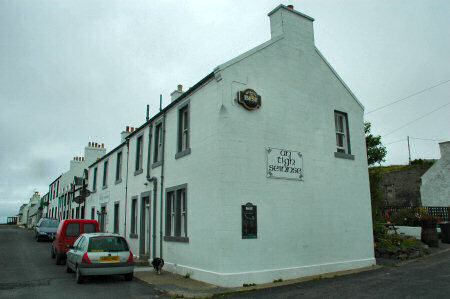 That's the ‘an tigh seinnse’ pub in Portnahaven on this week's Friday Islay picture. A very small but also very nice pub. Probably also one of the most remote pubs in Scotland, considering that it is at the southern tip of the Rinns of Islay and about as far away as you can get from both ferry terminals and the airport. But it's too late now and I'm too tired to go to any pub tonight. So I'll just go to bed, catch up on some sleep and hopefully make good progress on a few new Islay pages this weekend.